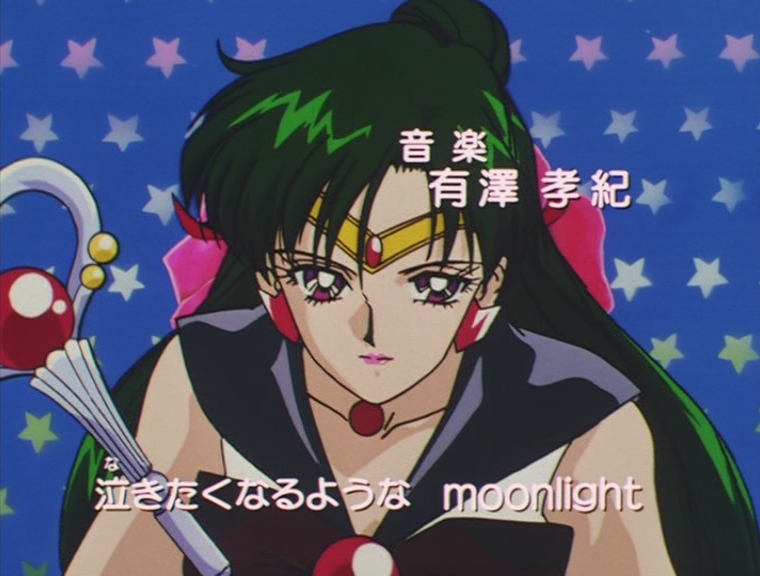 Ikuko Itō (伊藤郁子) is known as one of the most popular animator directors for her beautiful, expressive style. She was the chief animator director of a total of 17 episodes from Sailor Moon to Sailor Moon SuperS, and was also a character designer for Sailor Moon S and SuperS, and key animator for the R movie. 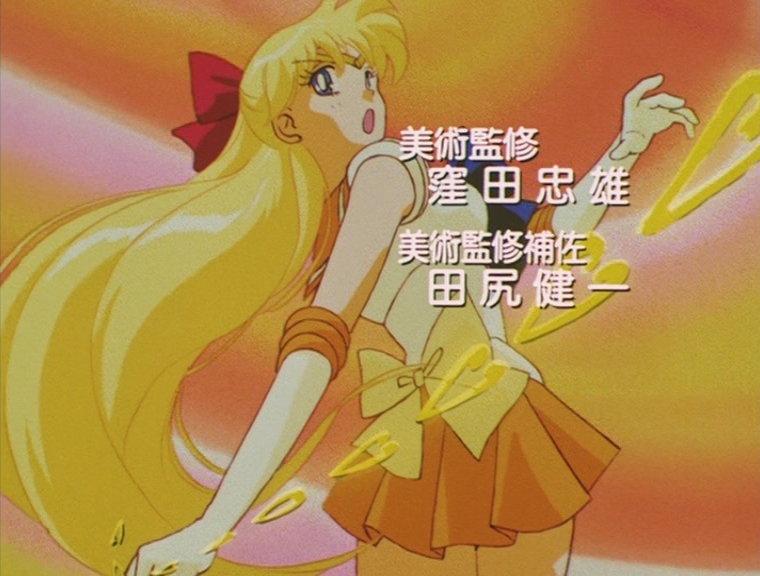 She did work on the stock animation (attacks/transformations) and opening/ending sequences for the second, third and fourth seasons. 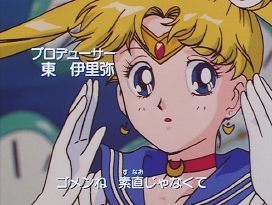 Her art can also be spotted on the LaserDisc releases. 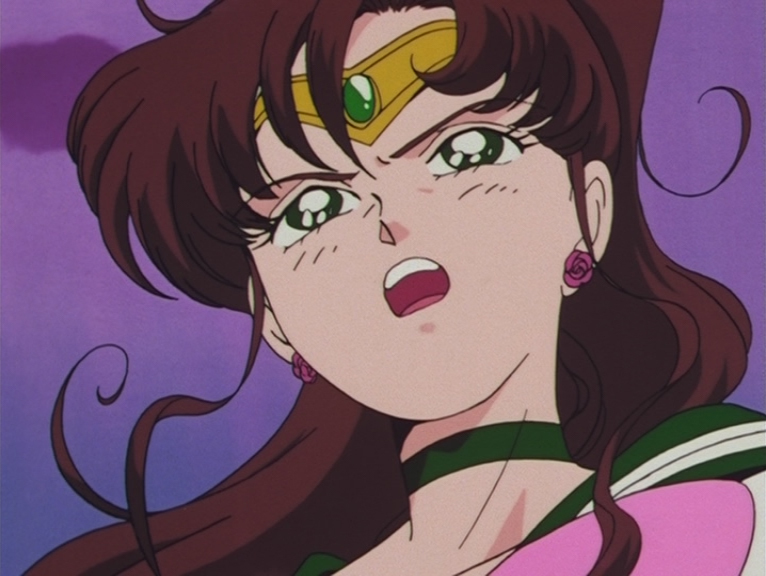 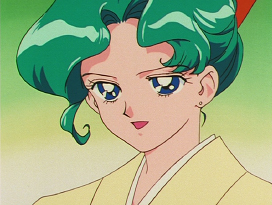 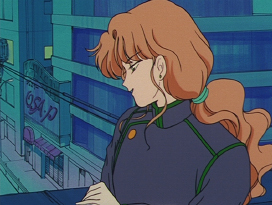 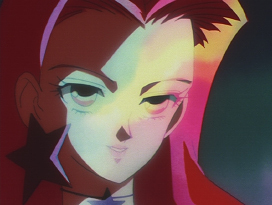 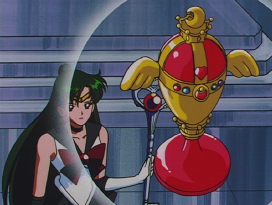 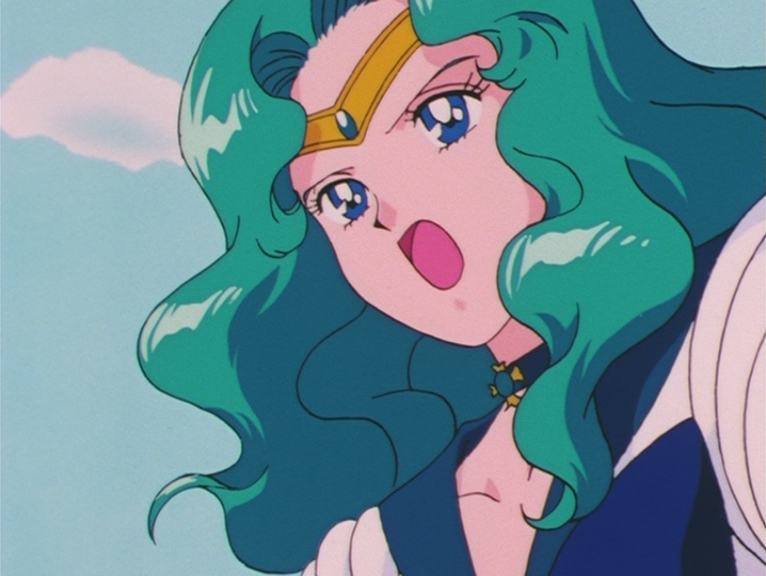 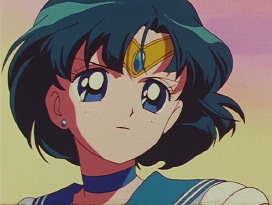 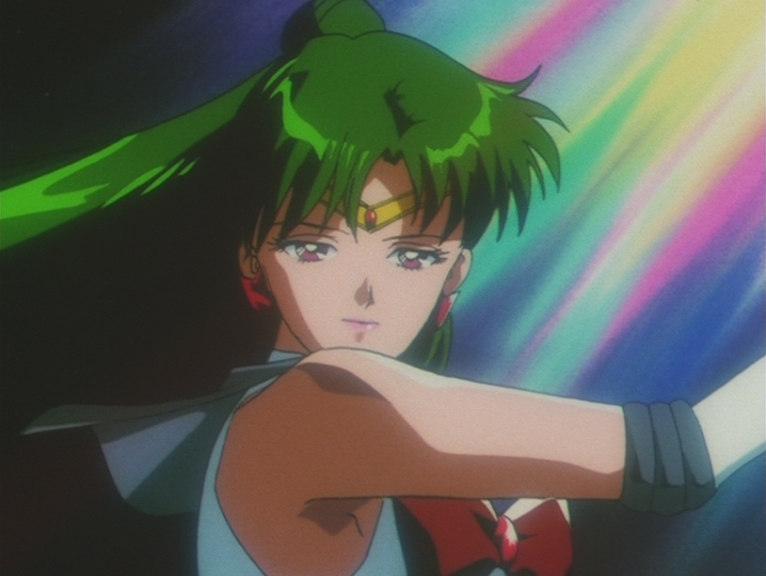 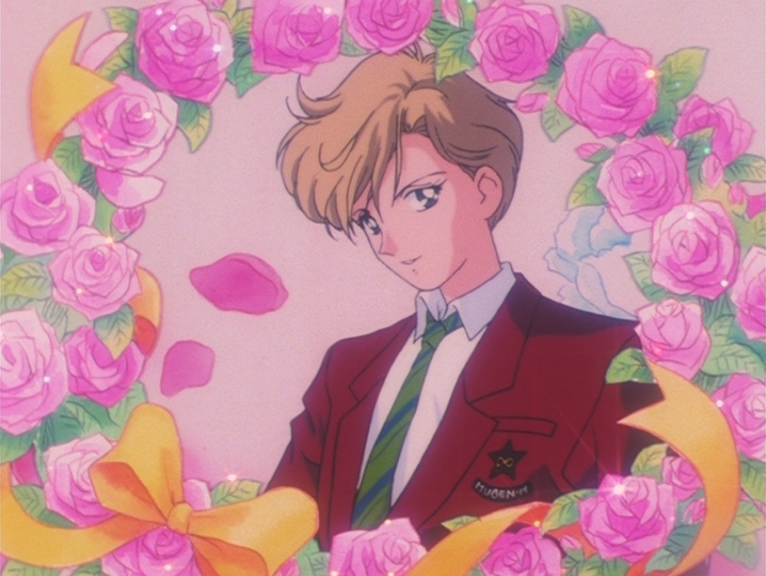 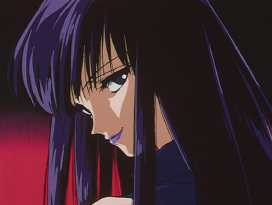 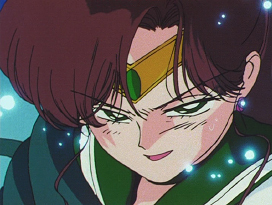 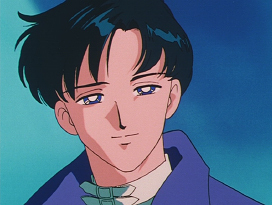 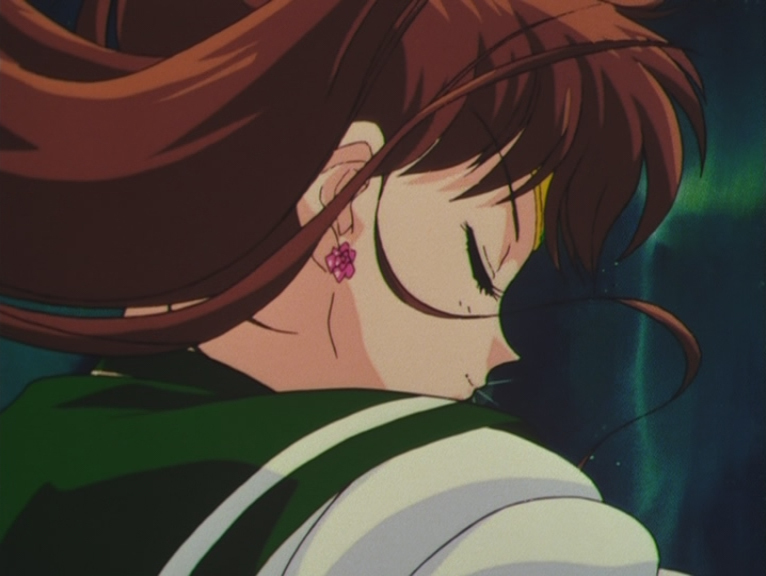 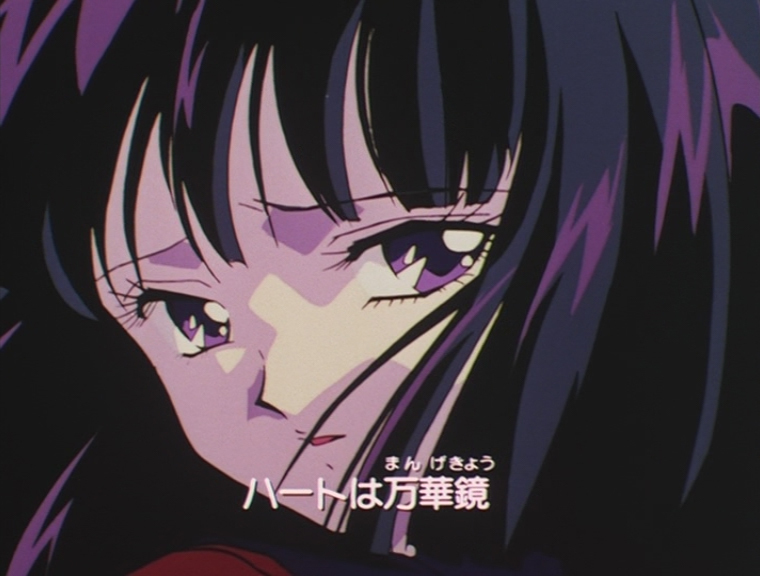 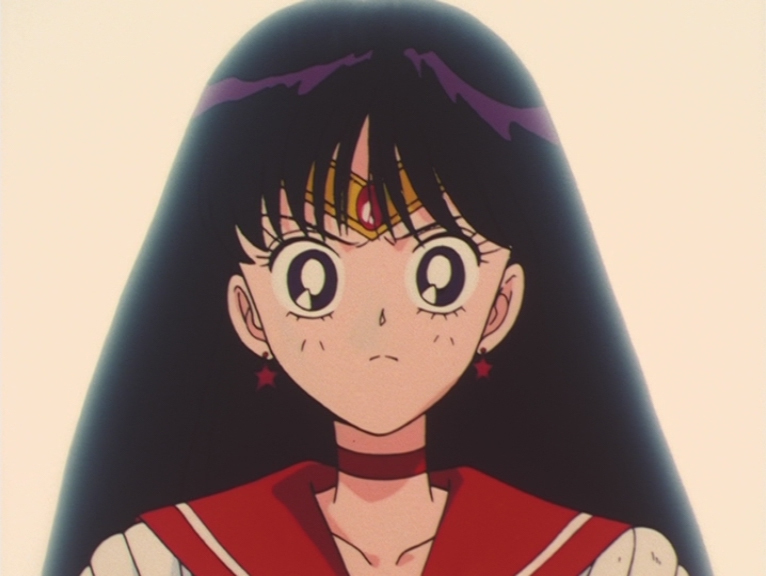 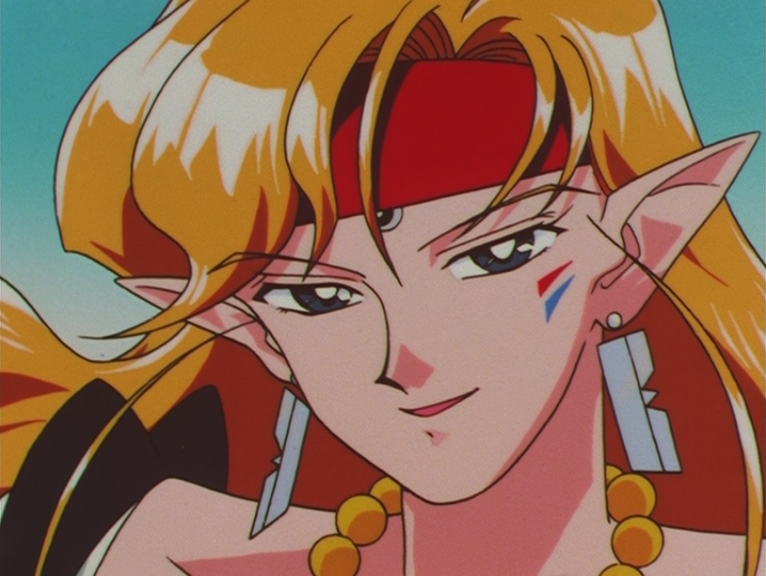 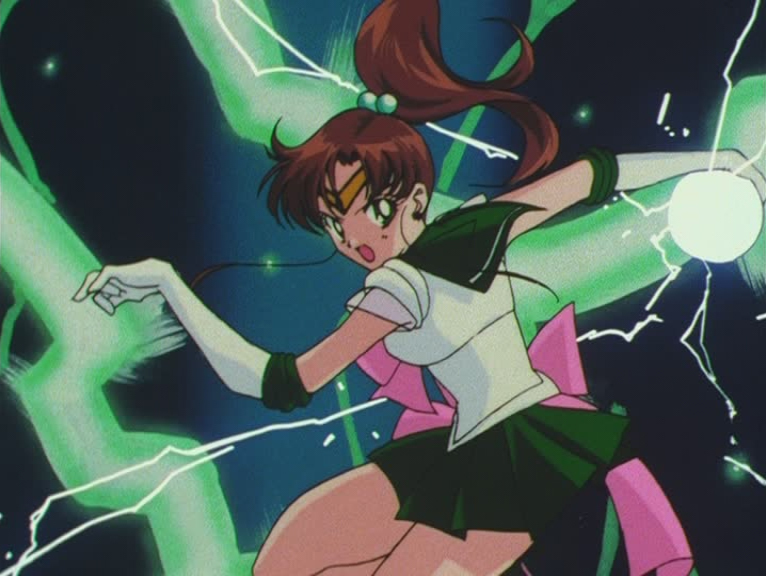 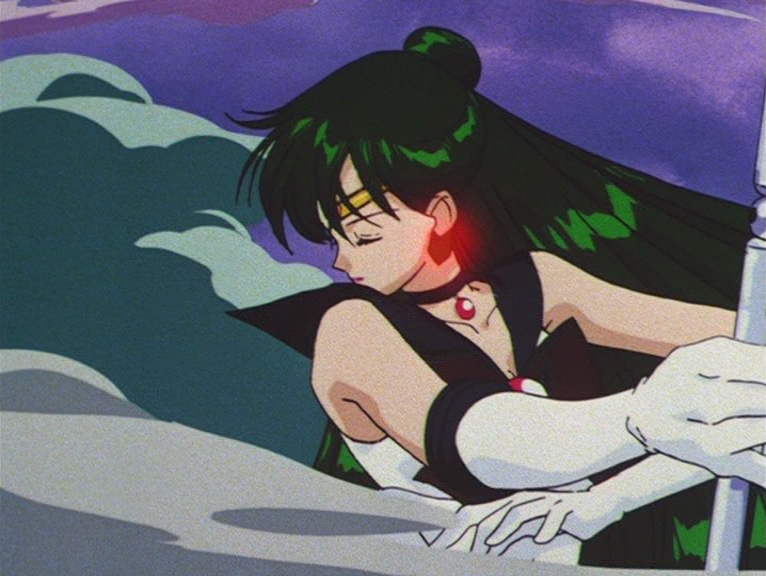 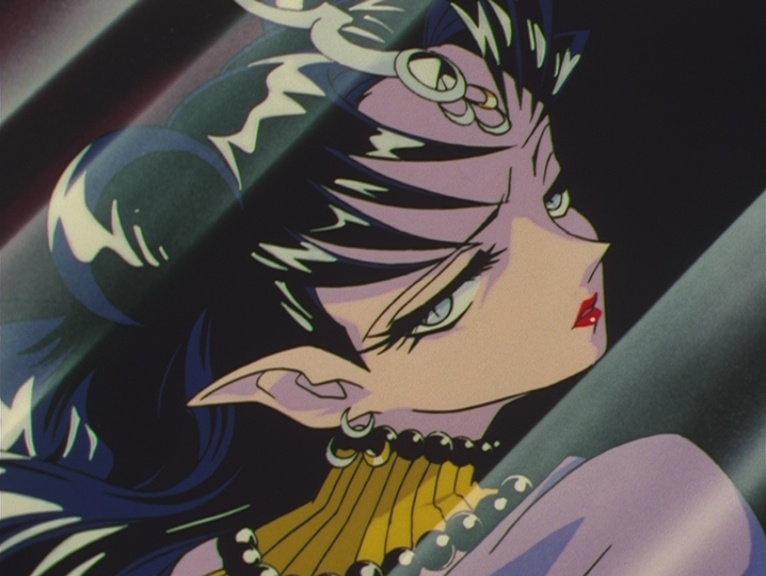 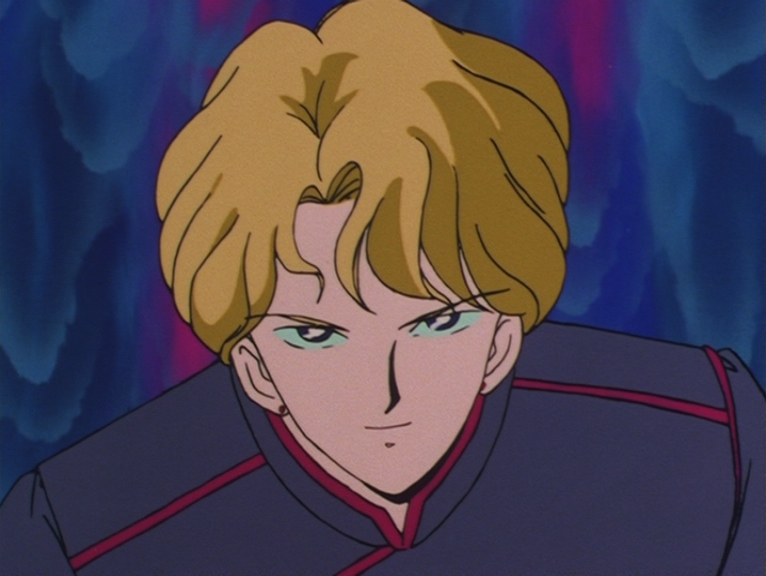 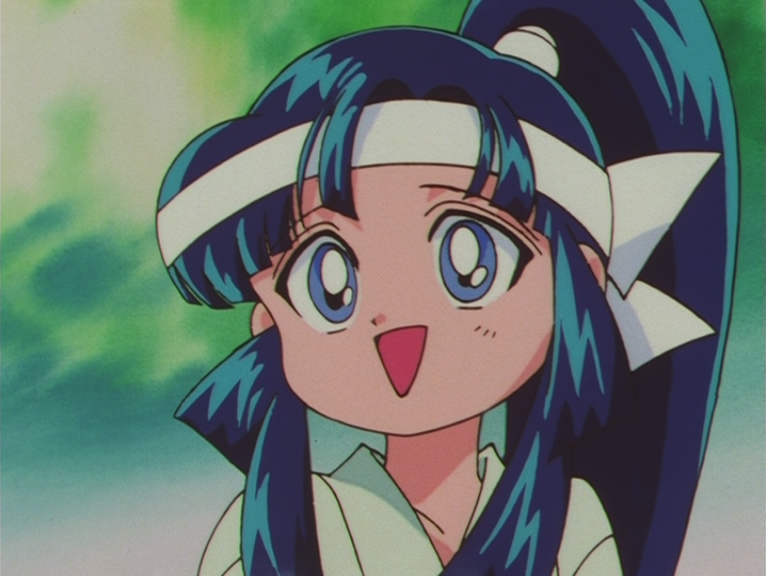 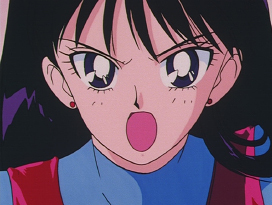 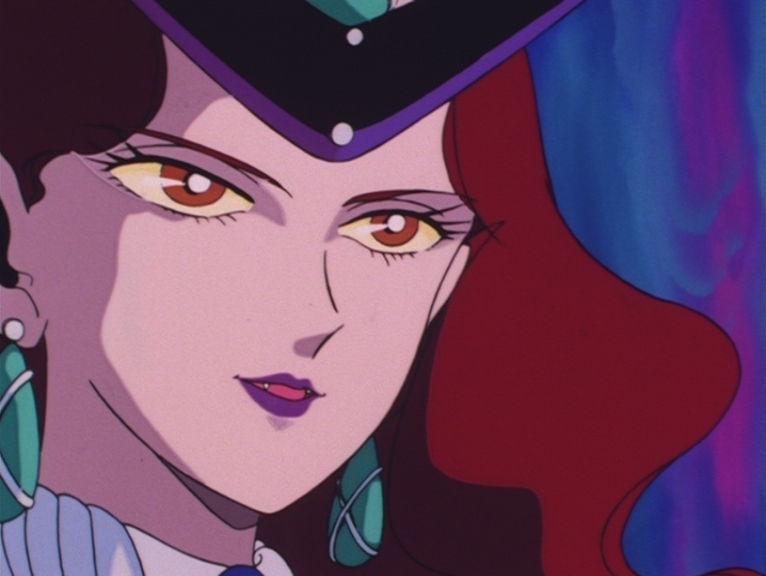 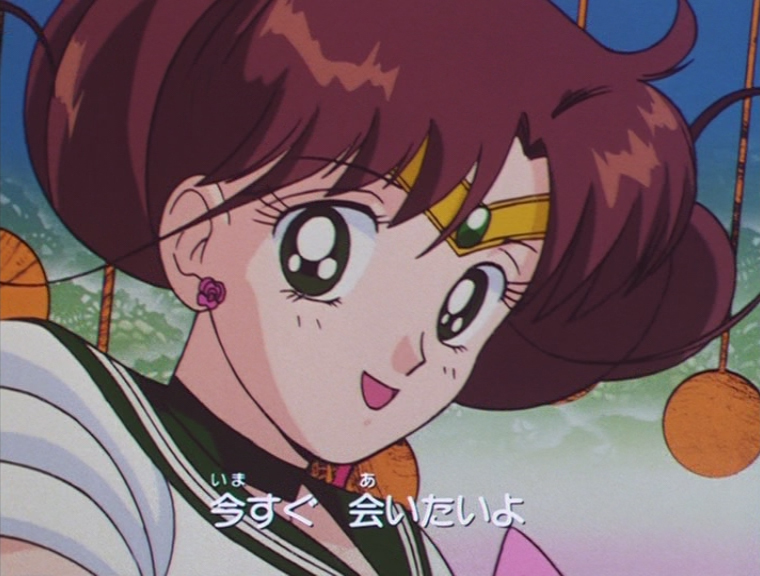 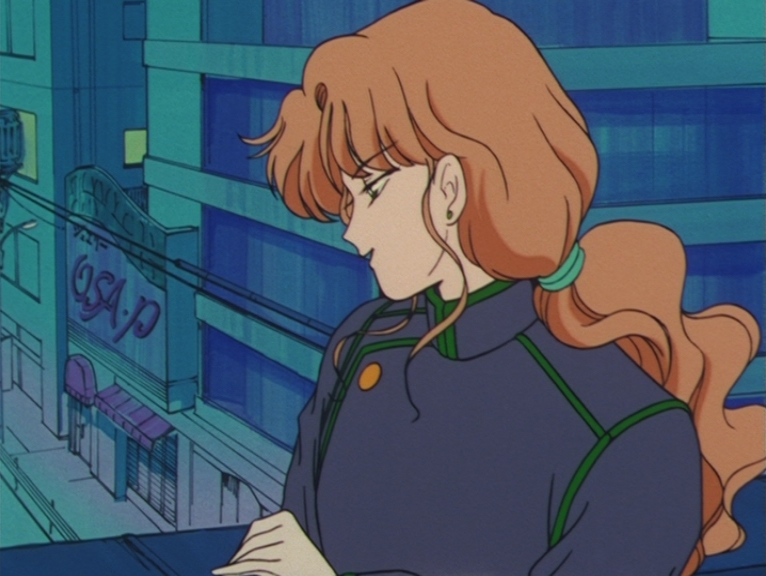 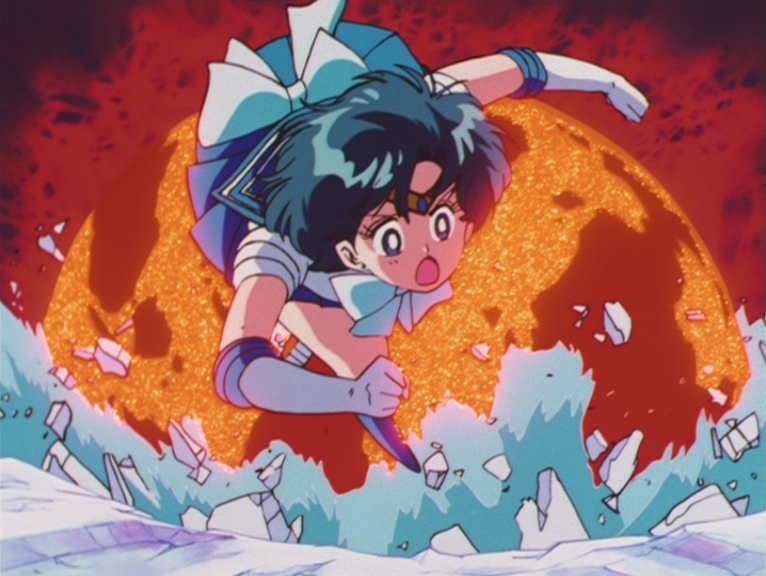 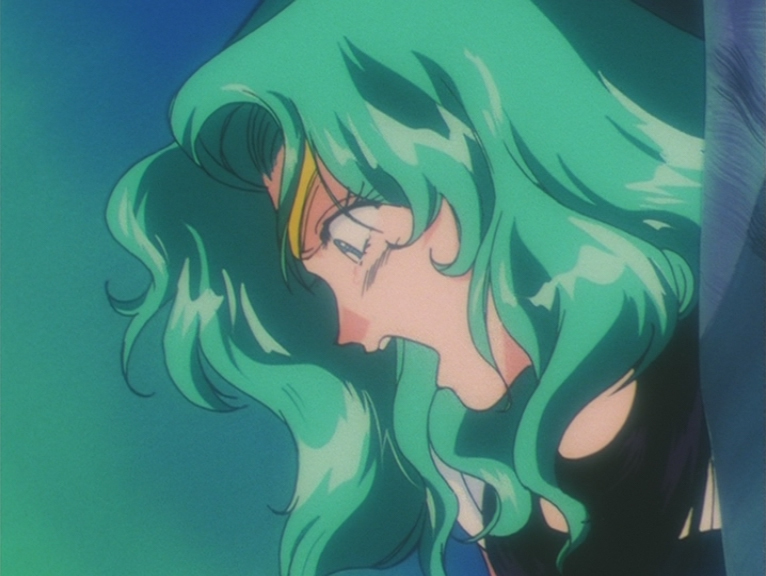 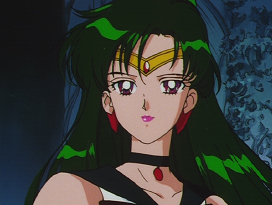 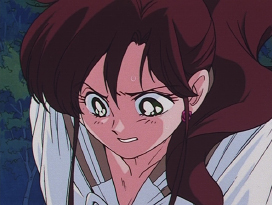 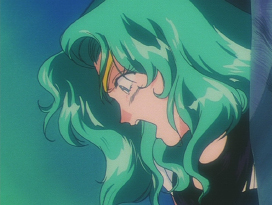 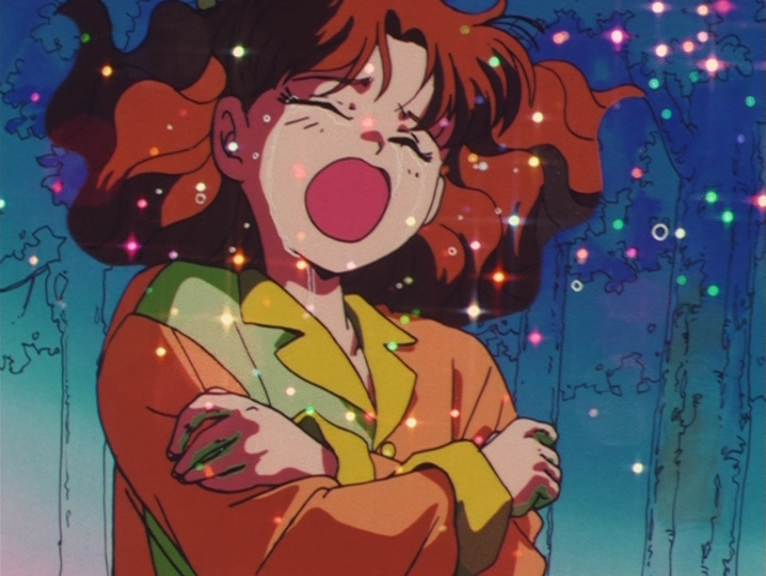 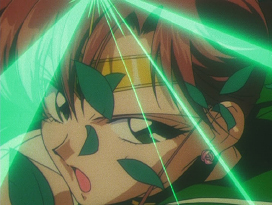 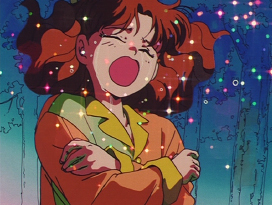 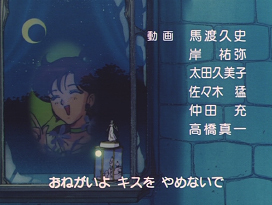 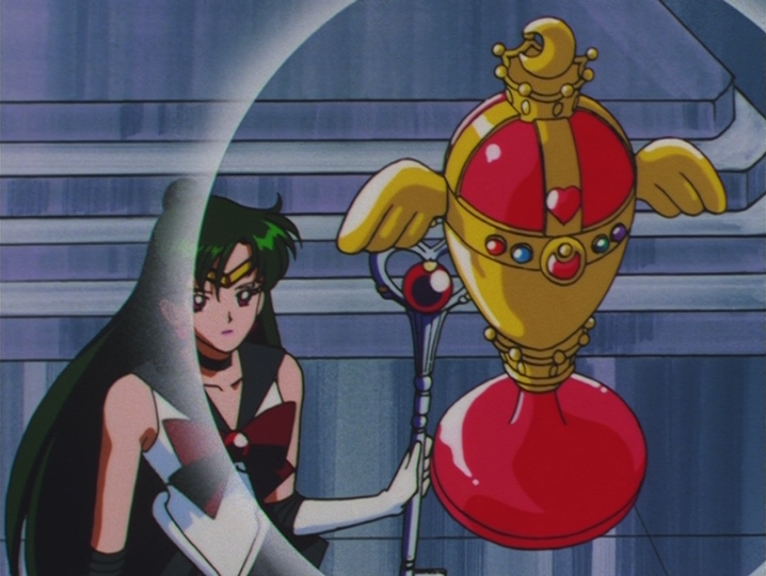 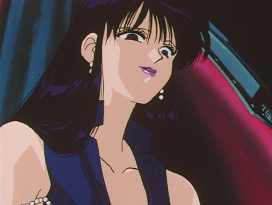 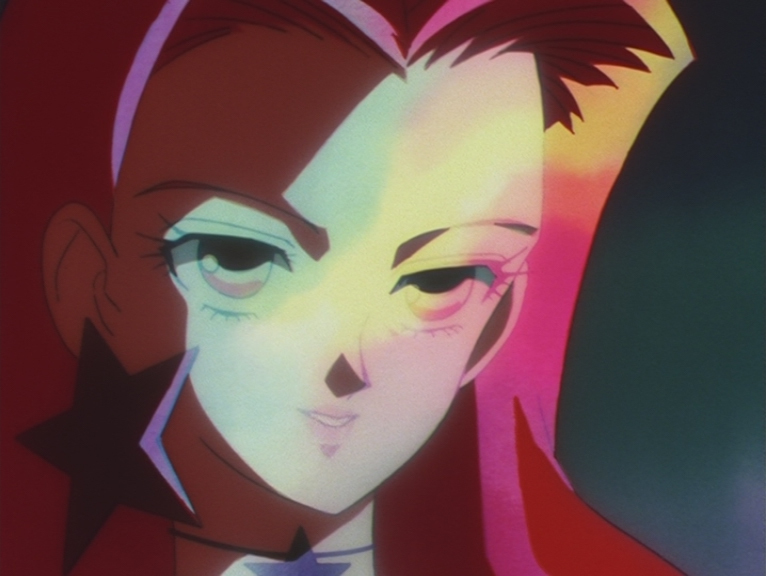 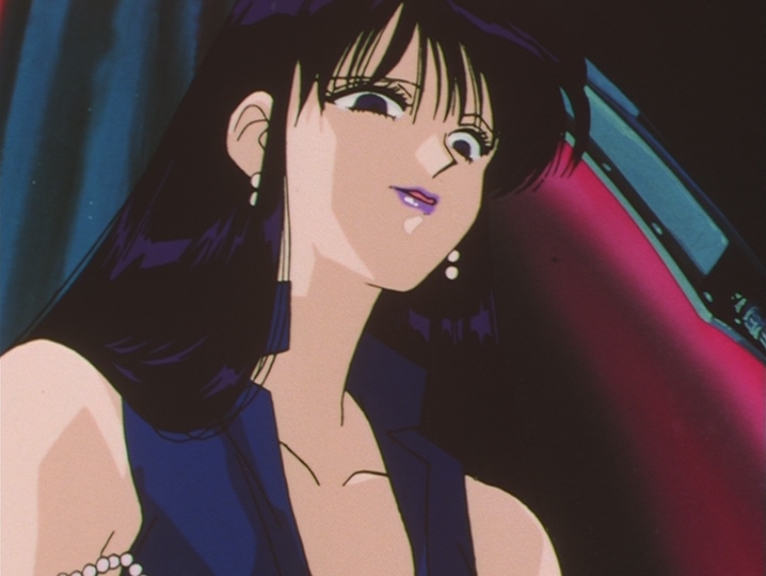 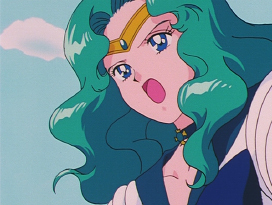 Her major episodes included Nephrite's death, the deaths of the Soldiers of the Four Guardian Deities, the Holy Grail's first appearance and the last episode of SuperS. 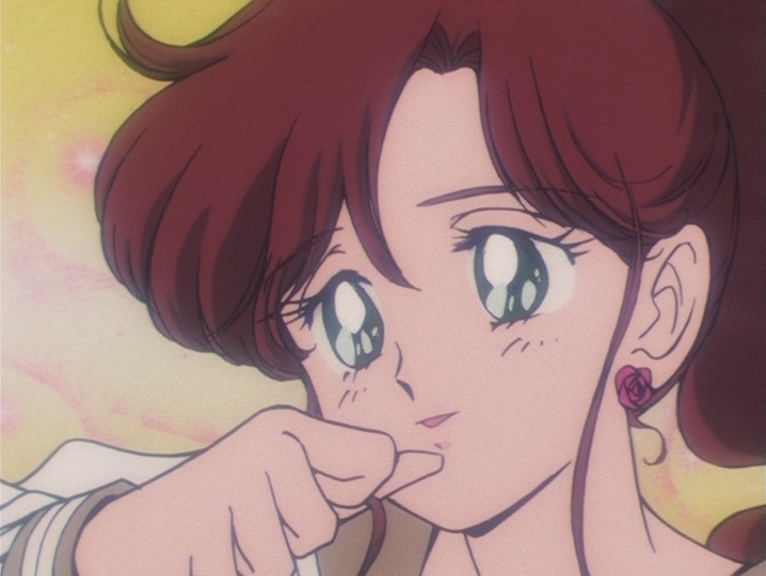 Some of her other works includes Princess Tutu (2002), Sketchbook ~full color'S~ (2007), Aria the Origination (2008), AKB0048 (2012) and AKB0048 next stage (2013). 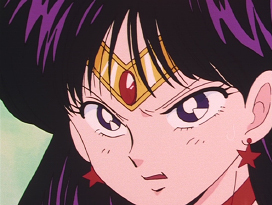 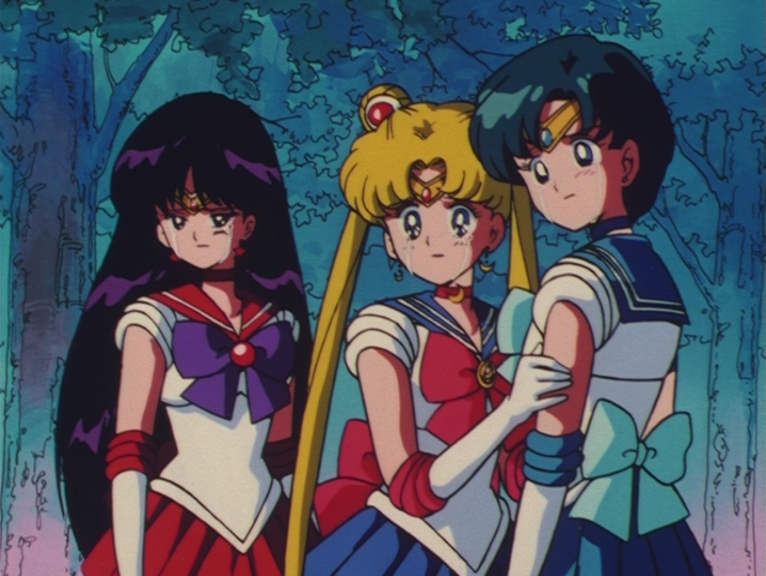 Episode 24: Sailor Mars, Sailor Moon and Sailor Mercury. 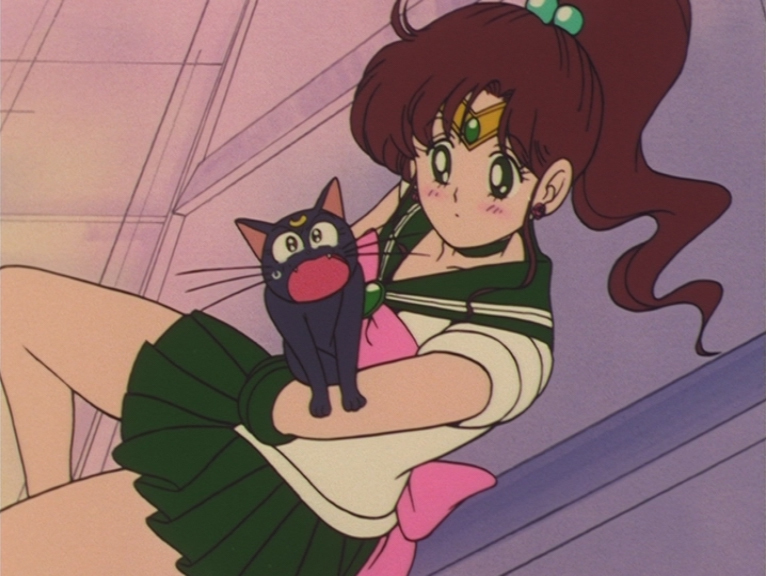 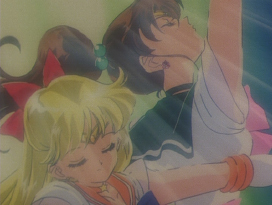 Episode 31: Luna and Sailor Jupiter. 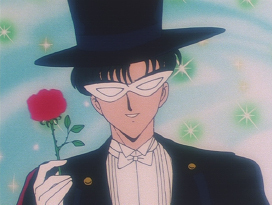 Episode 37: Usagi and Tuxedo Mask. 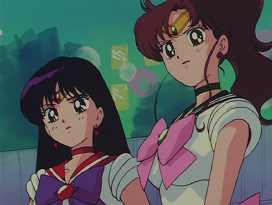 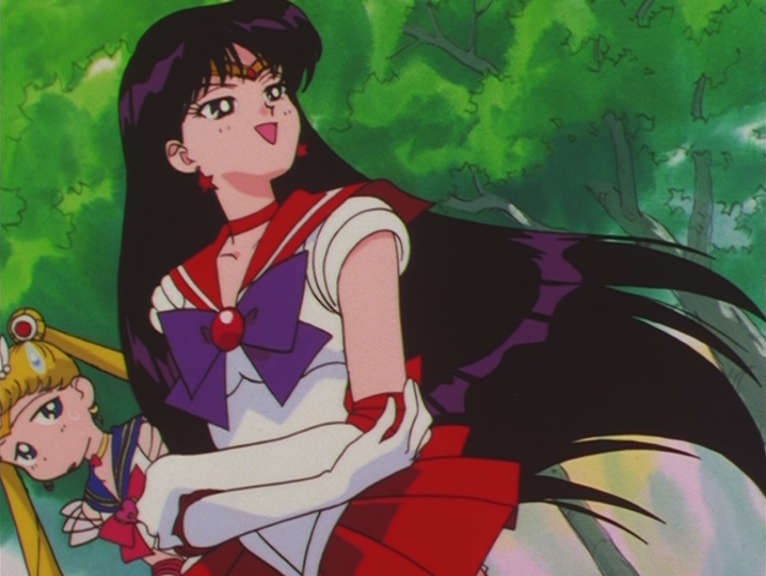 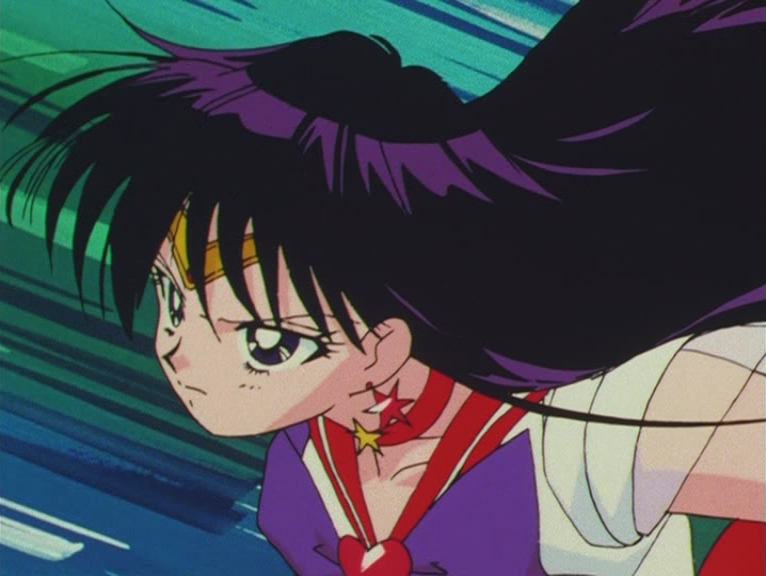 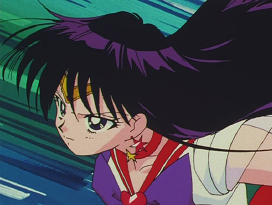 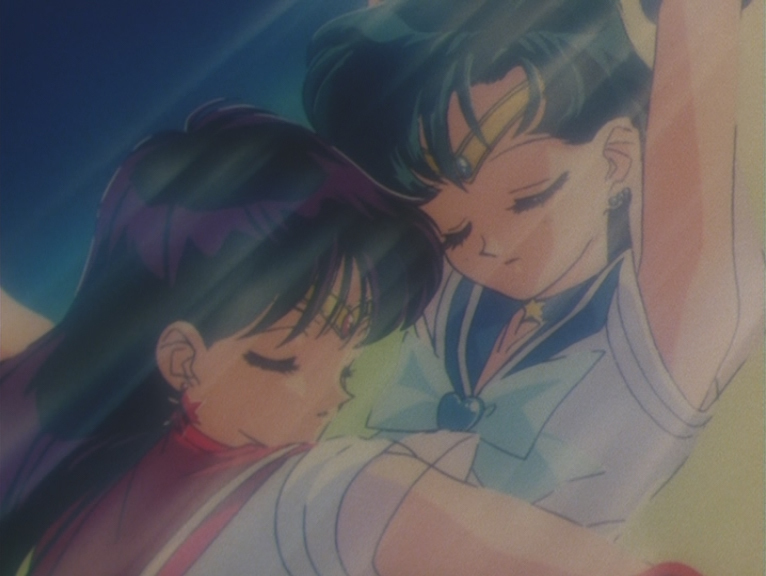 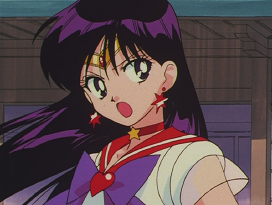 Episode 68: Sailor Mars and Sailor Jupiter. 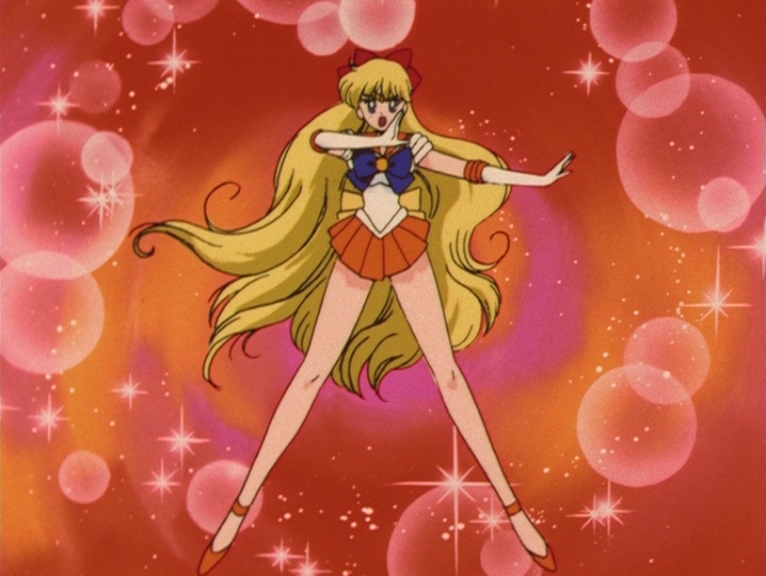 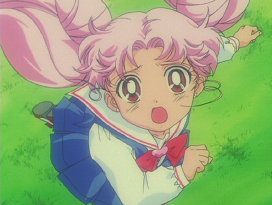 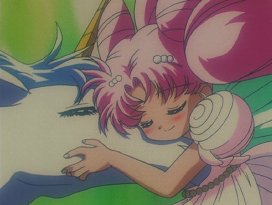 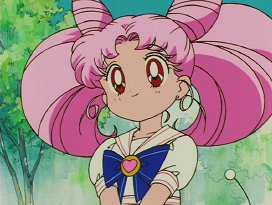 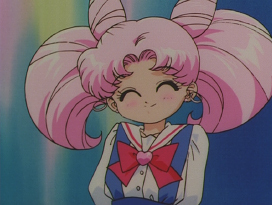 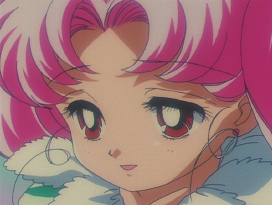 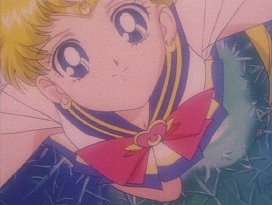 Episode 104: Sailor Chibi Moon. 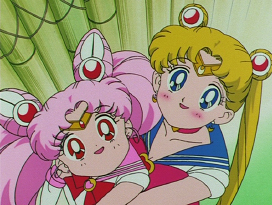 Episode 104: Sailor Chibi Moon and Sailor Moon. 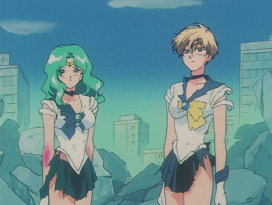 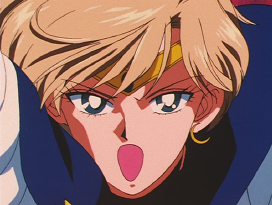 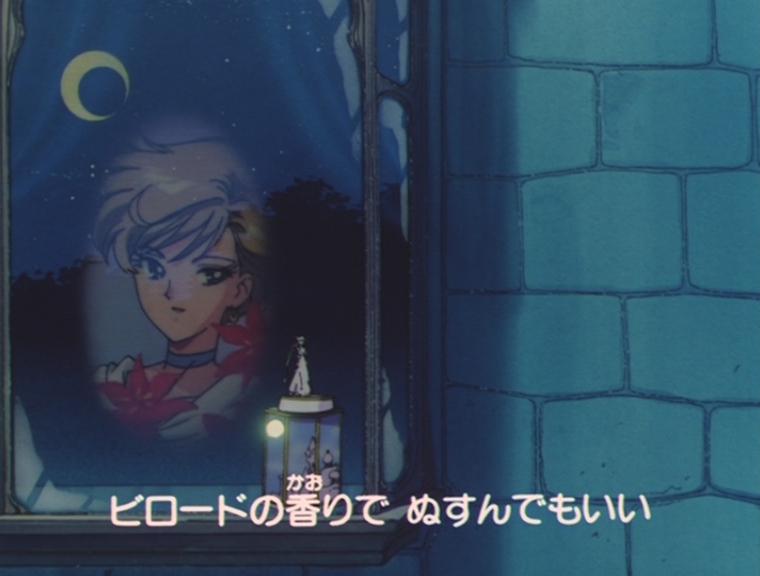 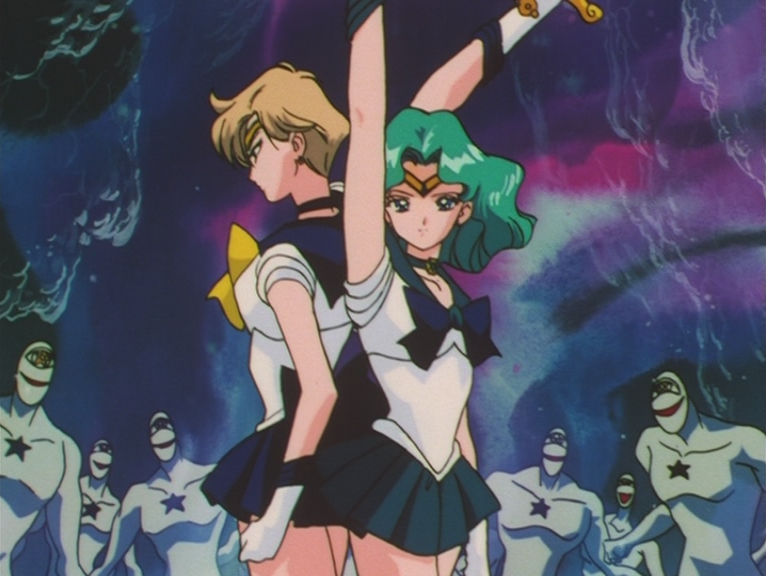 Episode 124: Sailor Uranus and Sailor Neptune. 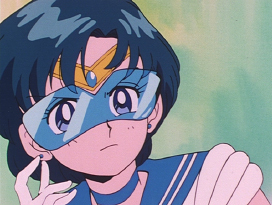 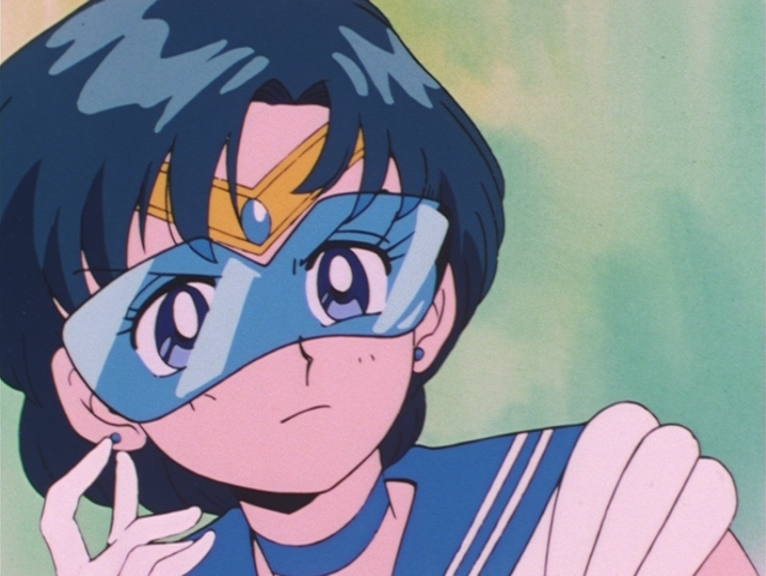 Episode 125: Sailor Neptune and Sailor Uranus. 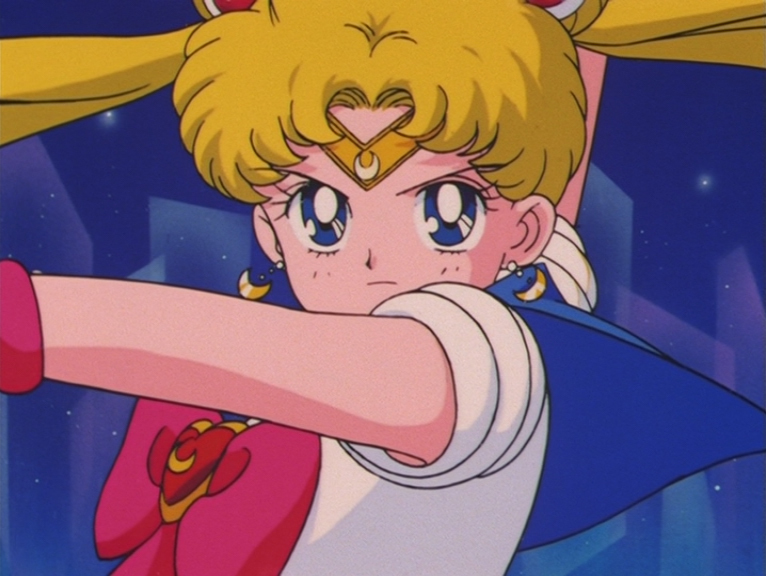 Episode 125: Super Sailor Moon. 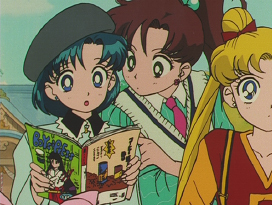 Episode 152: Ami, Makoto and Usagi. 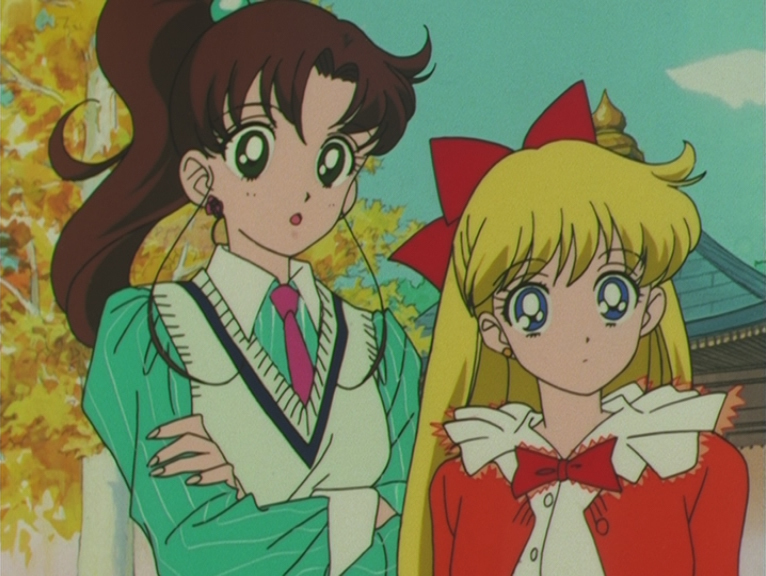 Episode 152: Makoto and Minako. 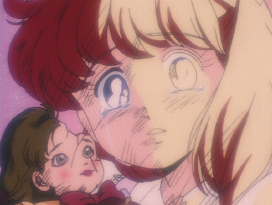 Episode 159: Pegasus and Small Lady. 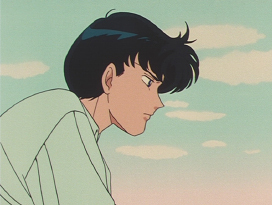 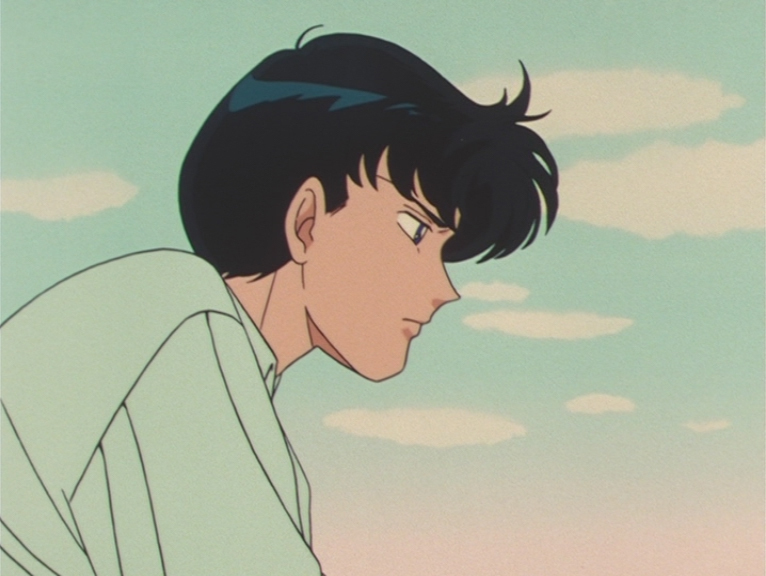 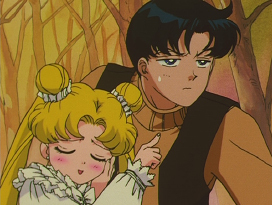 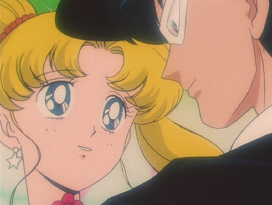 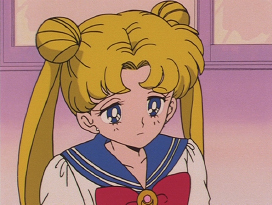 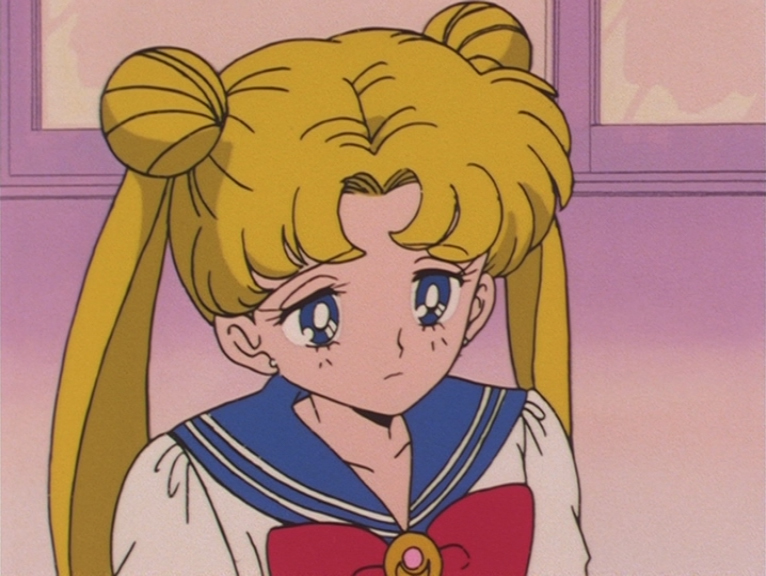 Episode 159: Usagi and Mamoru. 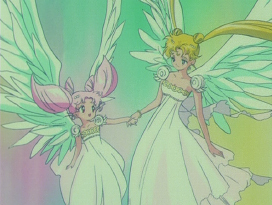 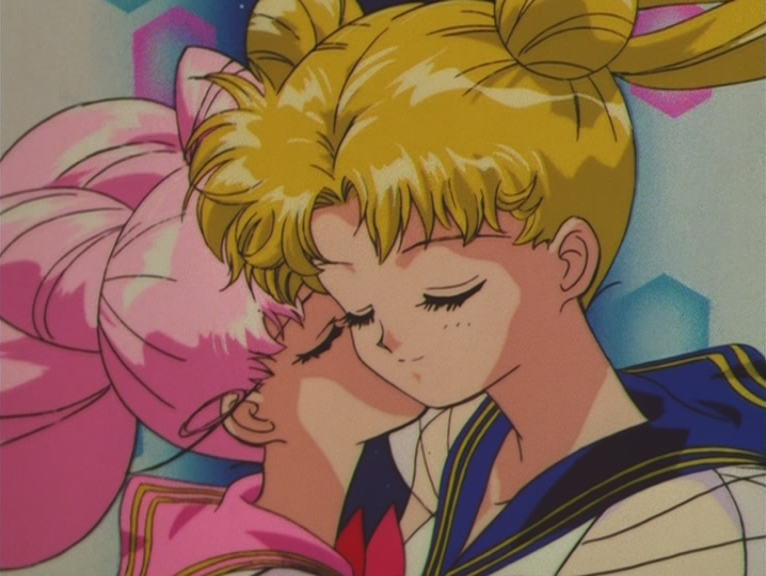 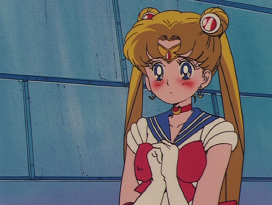 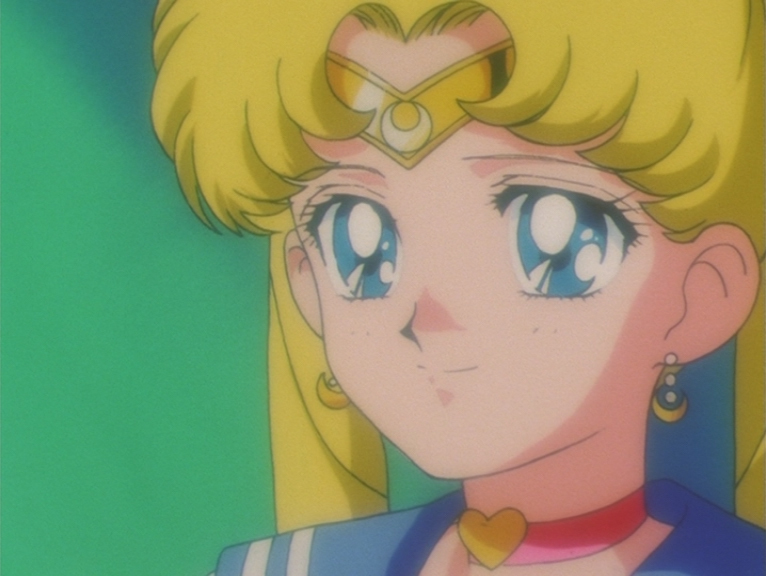 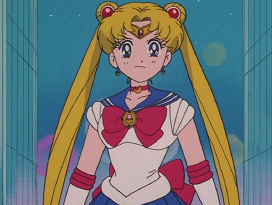 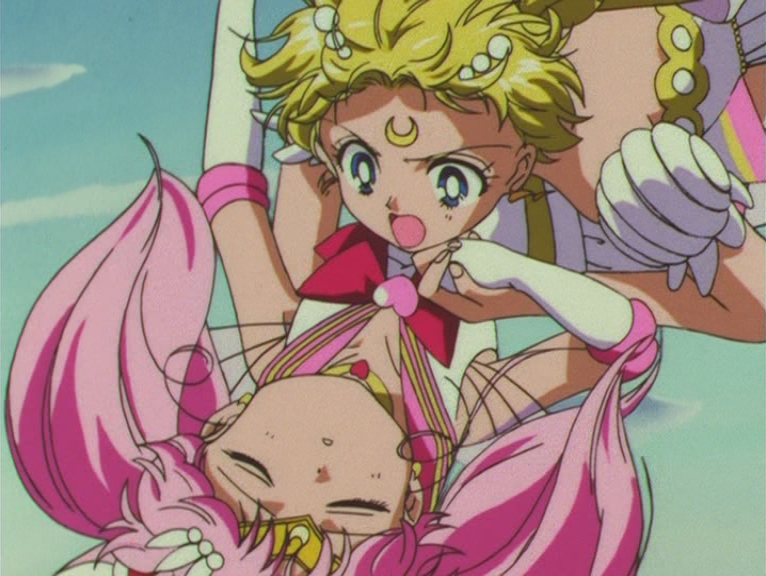 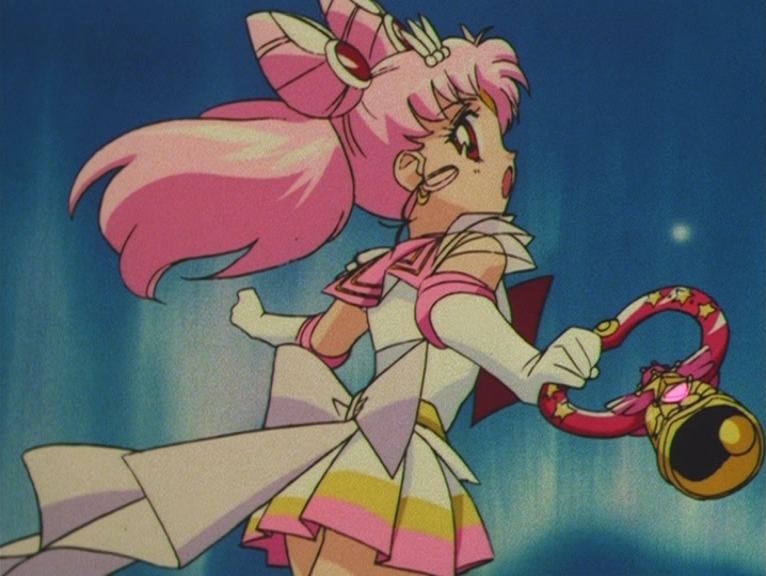 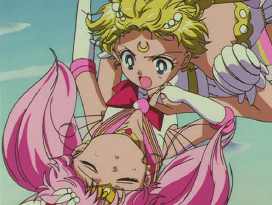 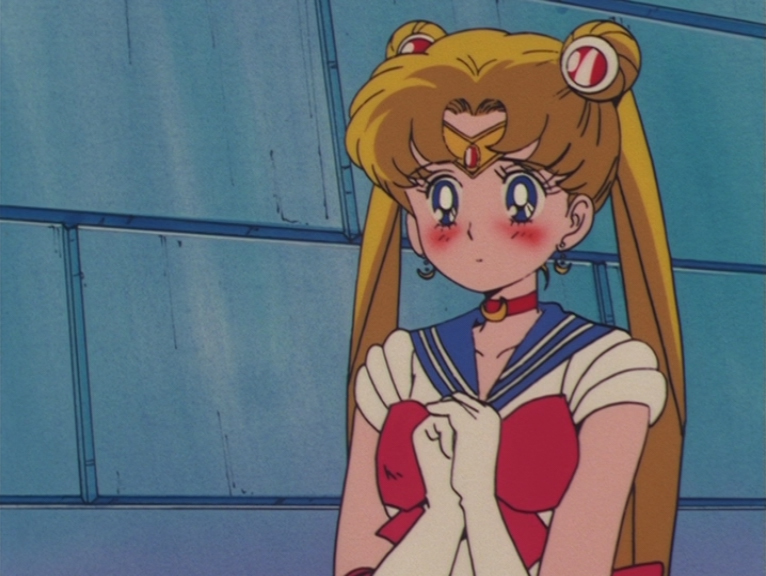 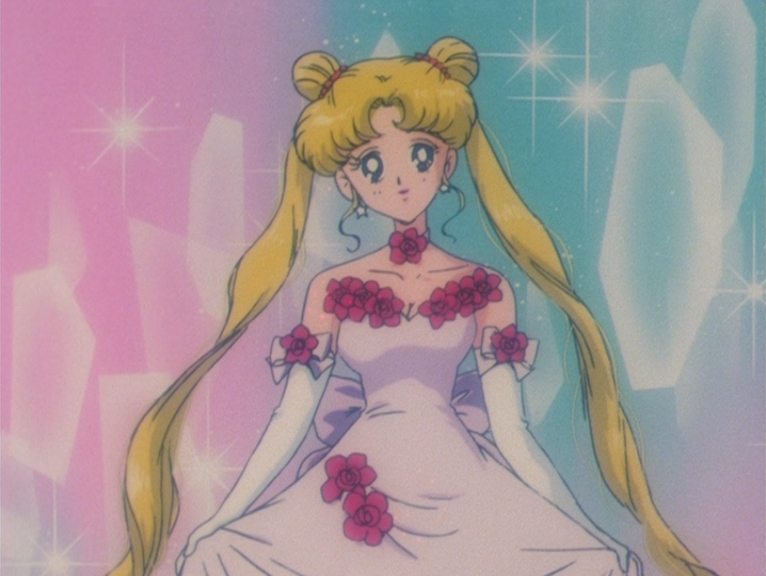 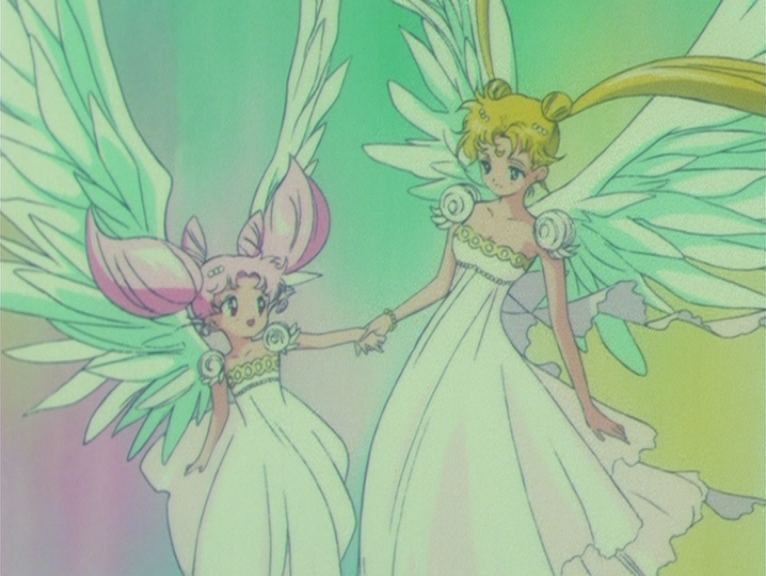 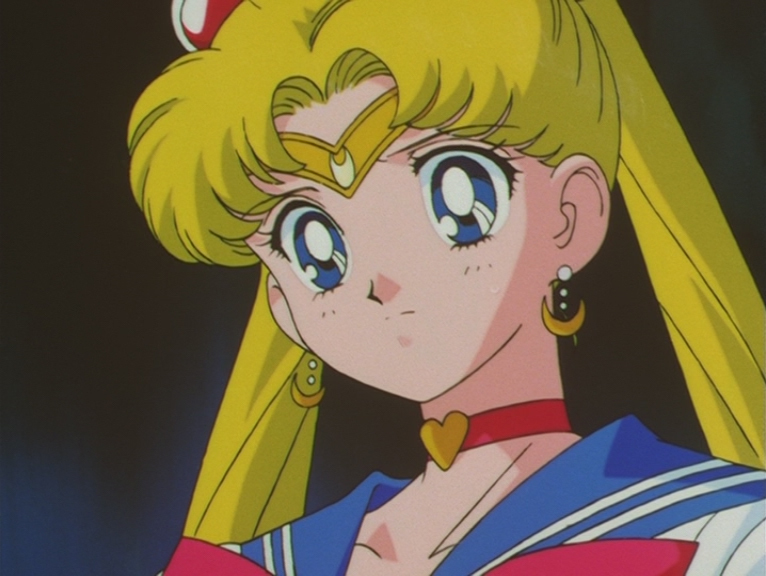 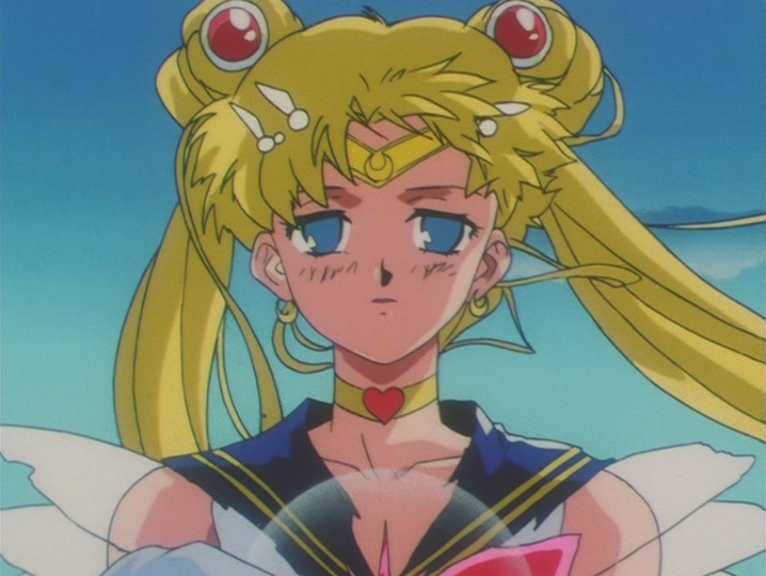 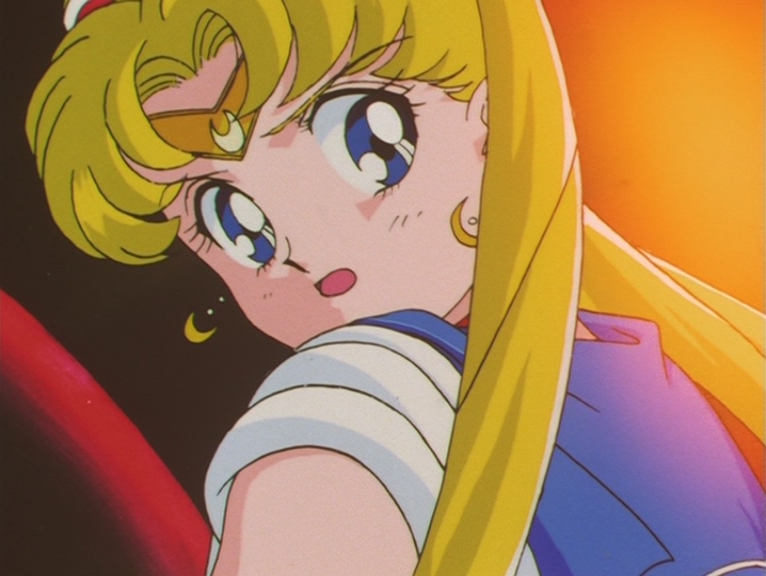 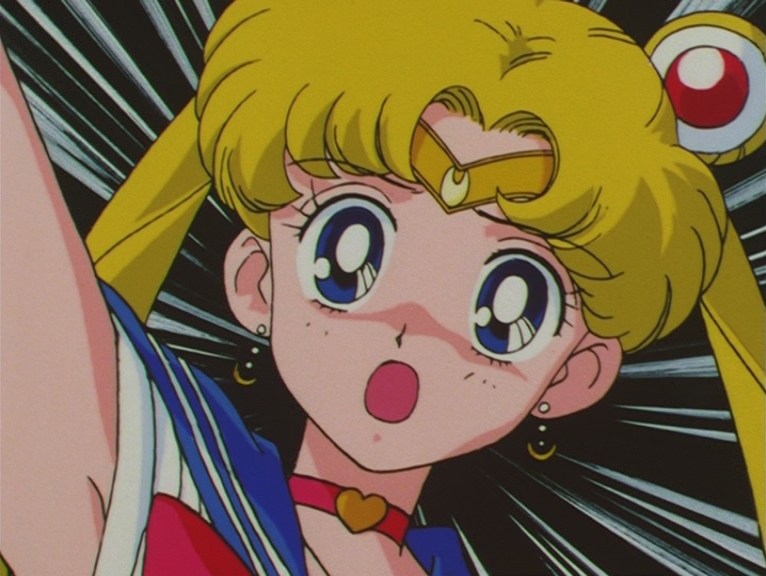 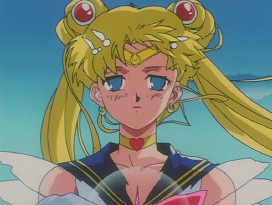 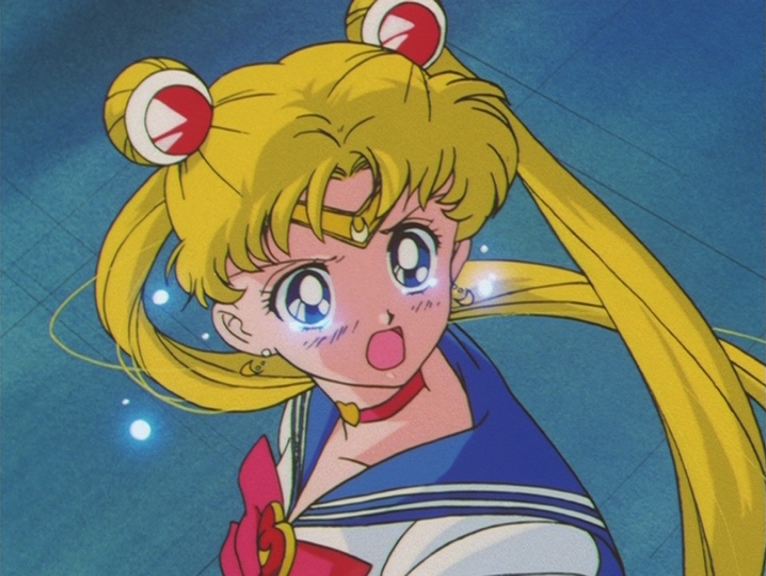 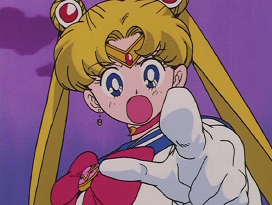 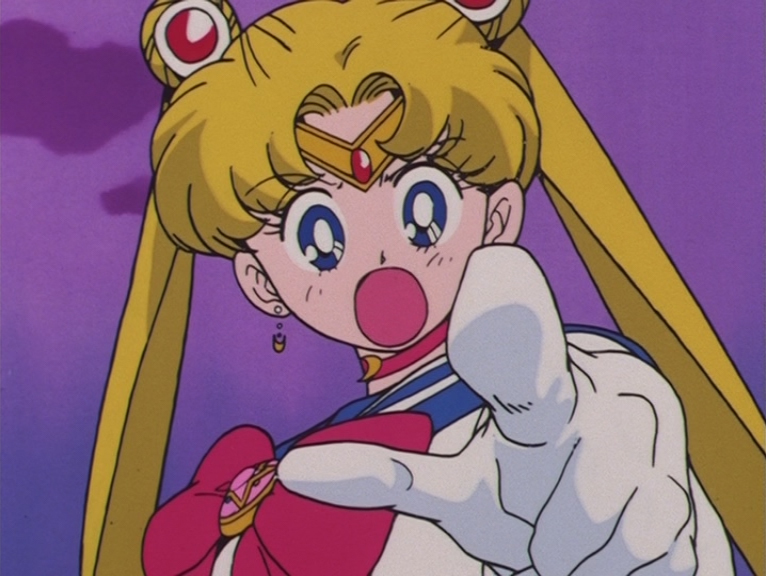 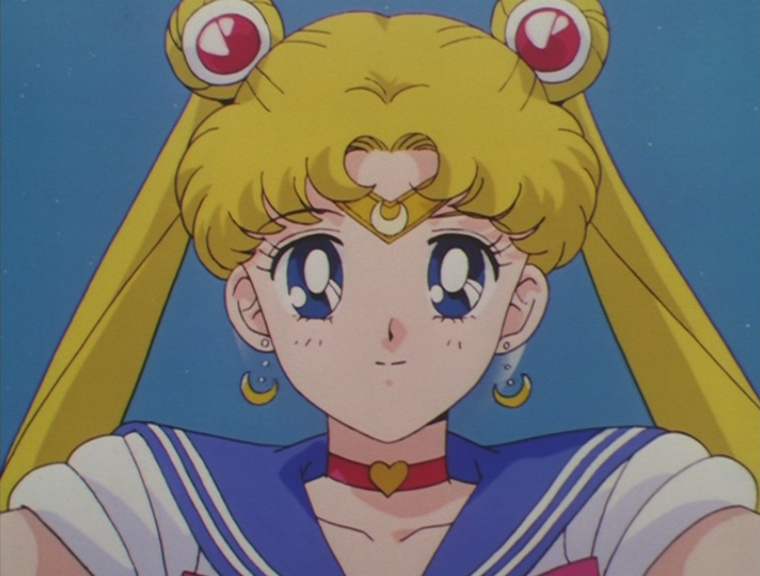 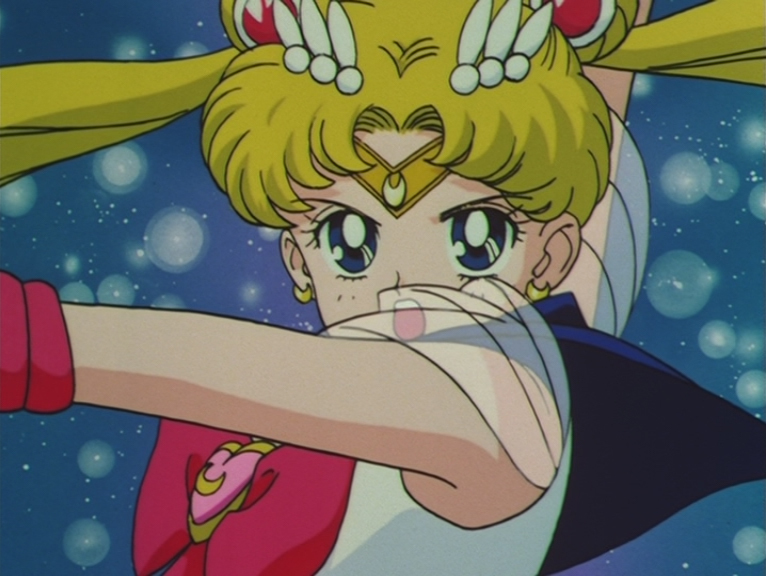 Episode 166: Super Sailor Chibi Moon and Princess Serenity. 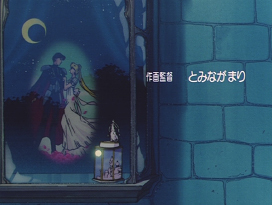 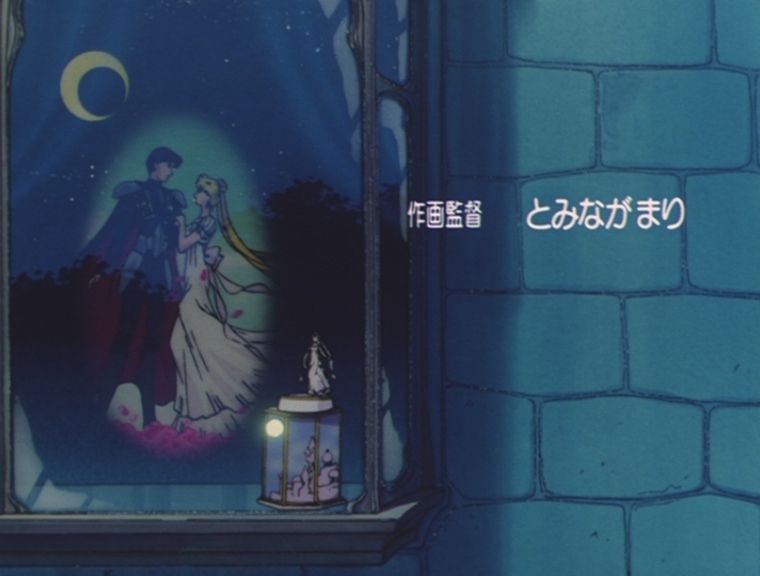 Episode 166: Small Lady and Princess Serenity. 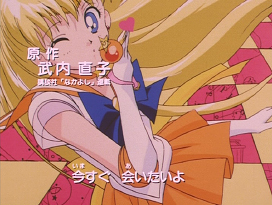 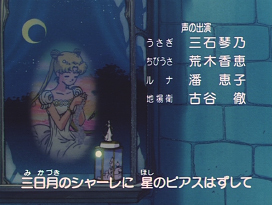 Sailor Moon R Second Opening. 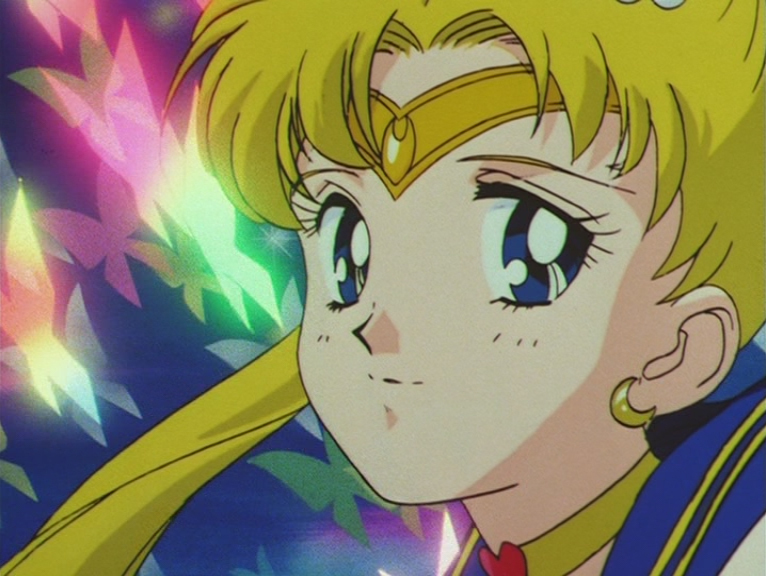 Sailor Moon S: Moon Cosmic Power Make Up. 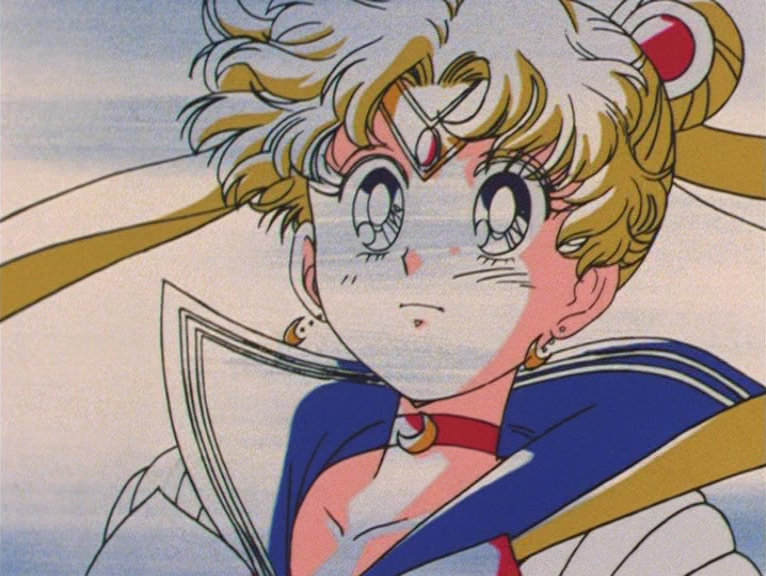 Sailor Moon S: Crisis Make Up. Sailor Moon SuperS: Moon Crisis Make Up. 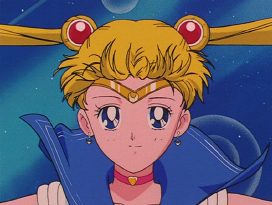 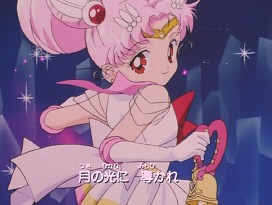 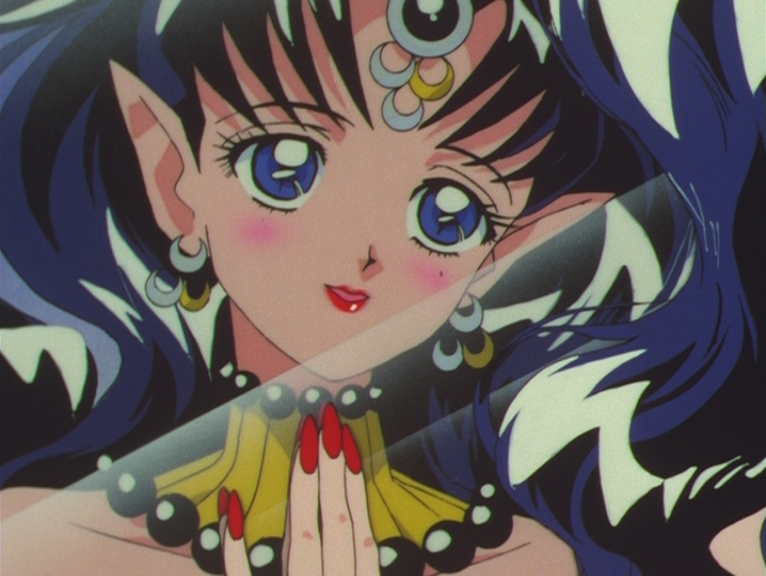 Sailor Moon SuperS: Mercury Crystal Power Make Up. 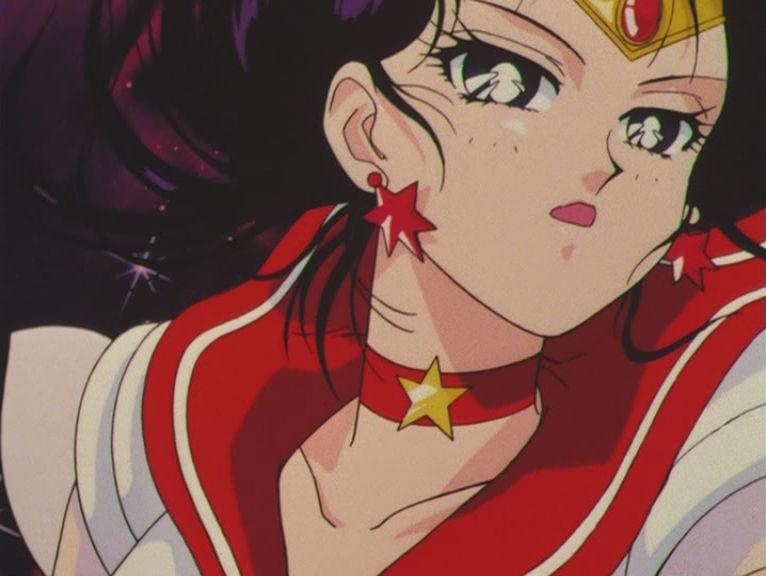 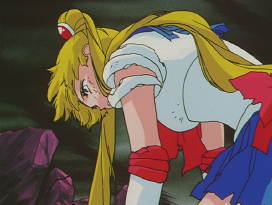 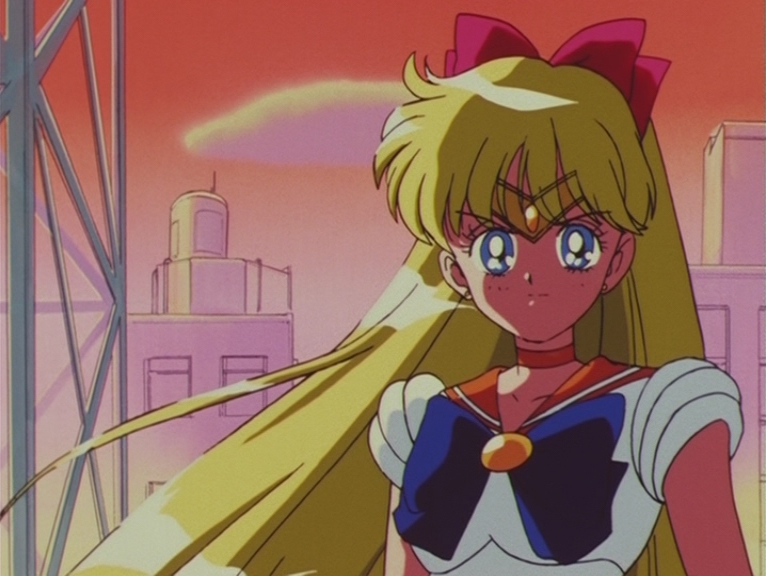 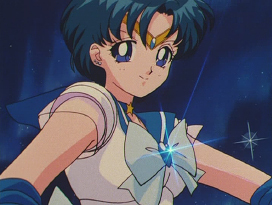 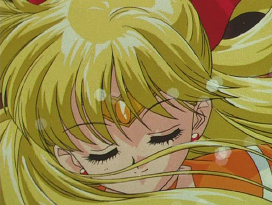 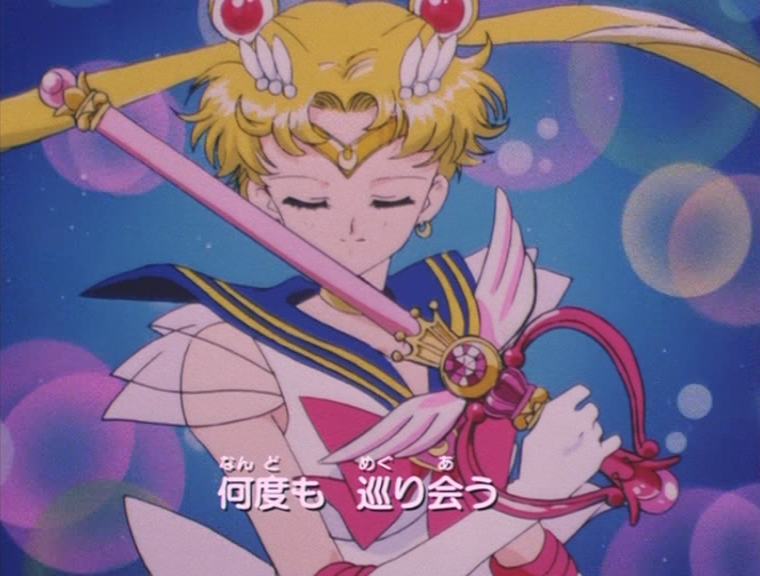 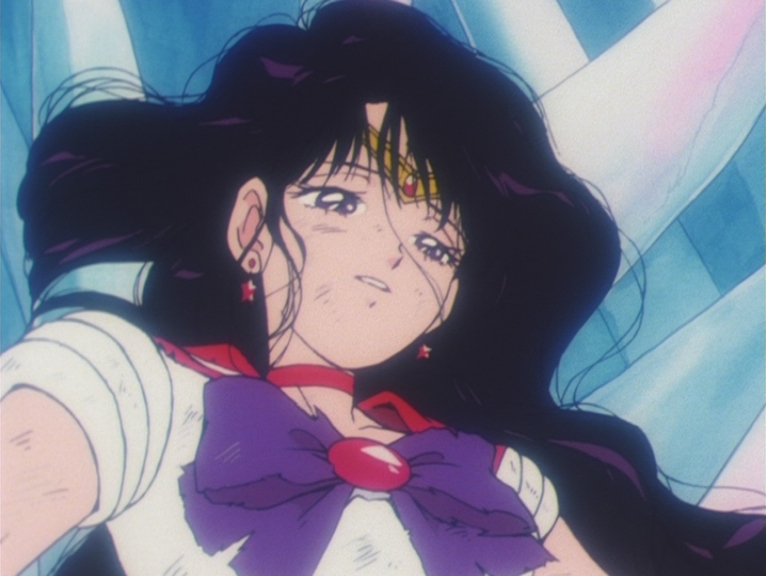 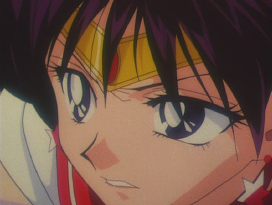 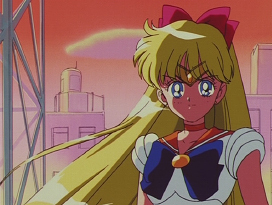 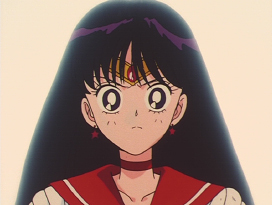 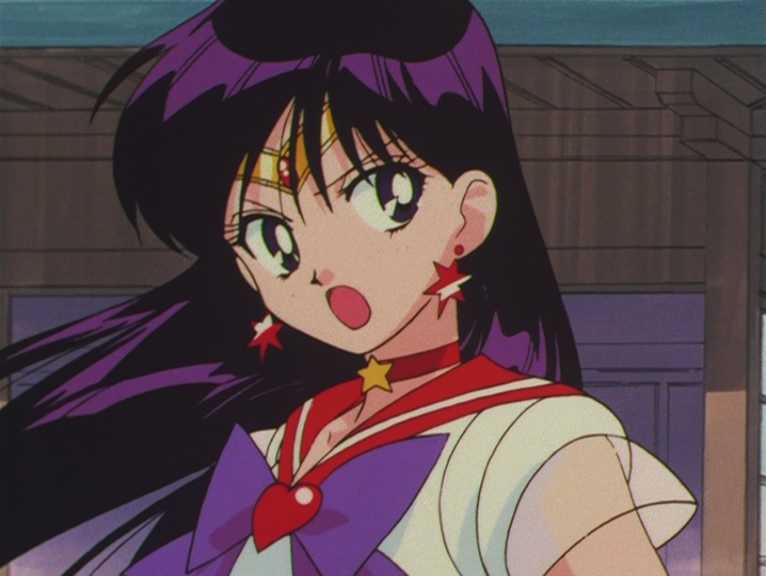 Sailor Moon SuperS: Mars Crystal Power Make Up. Sailor Moon SuperS: Jupiter Crystal Power Make Up. 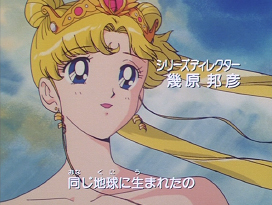 Sailor Moon SuperS: Venus Crystal Power Make Up. 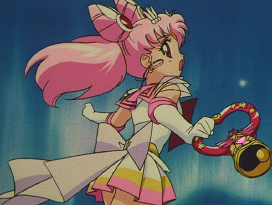 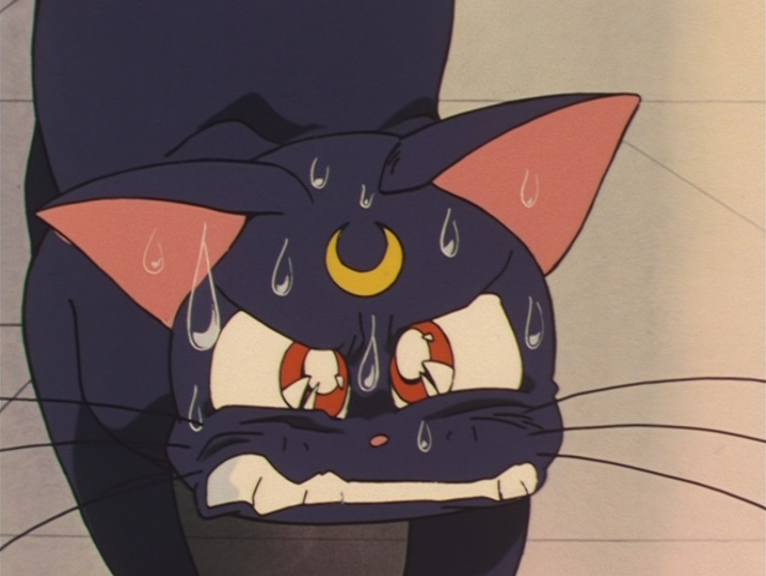 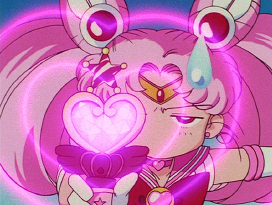 Sailor Moon S: Moon Spiral Heart Attack. 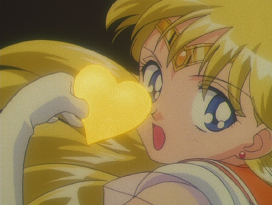 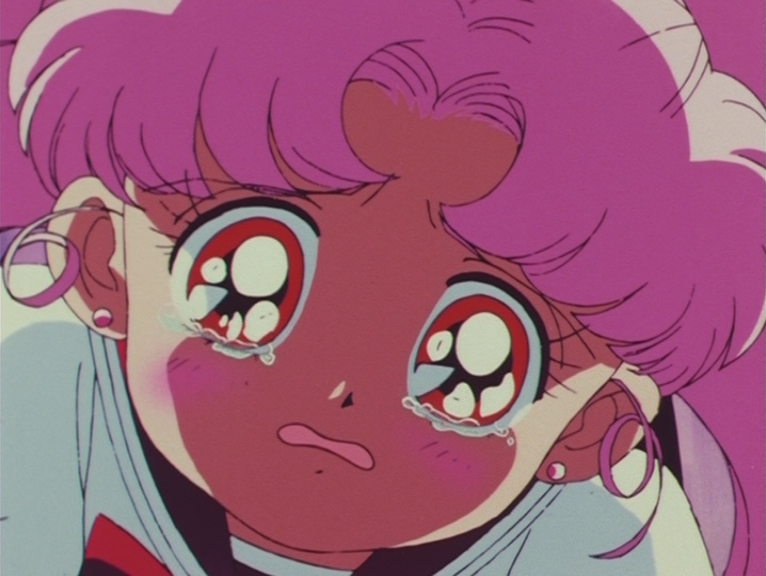 Sailor Moon S: Rainbow Moon Heart Ache. 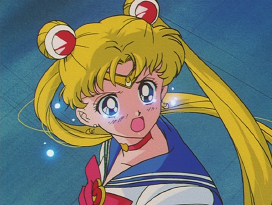 Sailor Moon S: Dead Scream. Sailor Moon S: World Shaking. Sailor Moon S: Deep Submerge. Sailor Moon SuperS: Venus Love Me Chain. 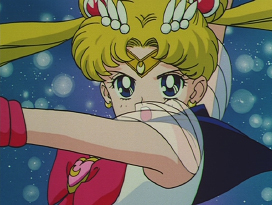 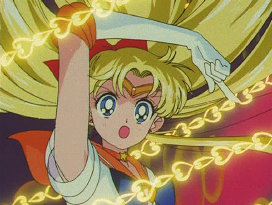 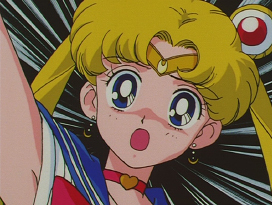 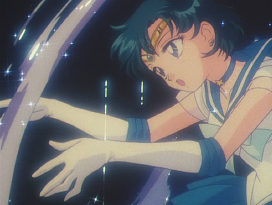 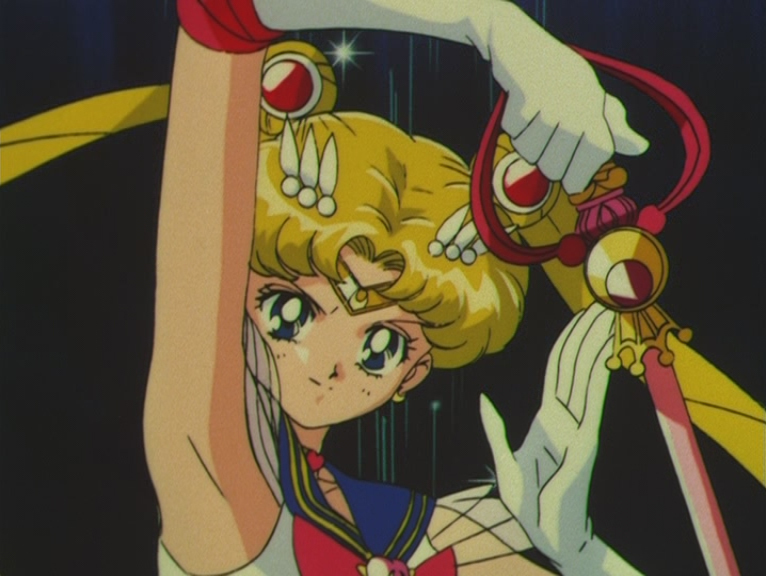 Sailor Moon SuperS: Sparkling Wide Pressure. 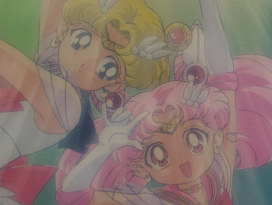 Sailor Moon SuperS: Twinkle Yell. 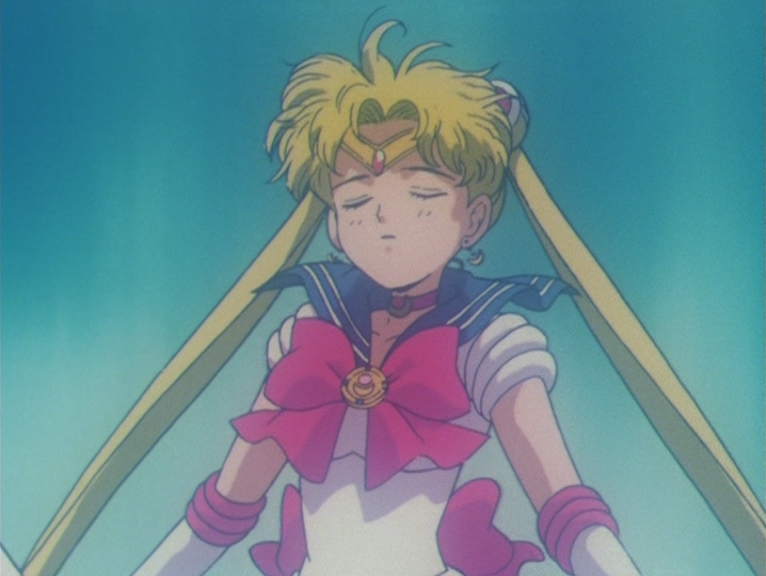 Sailor Moon SuperS: Moon Gorgeous Meditation. 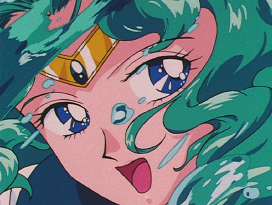 Sailor Moon SuperS: Mercury Aqua Rhapsody. 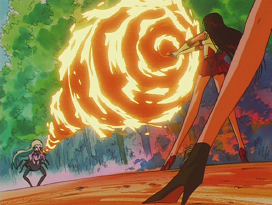 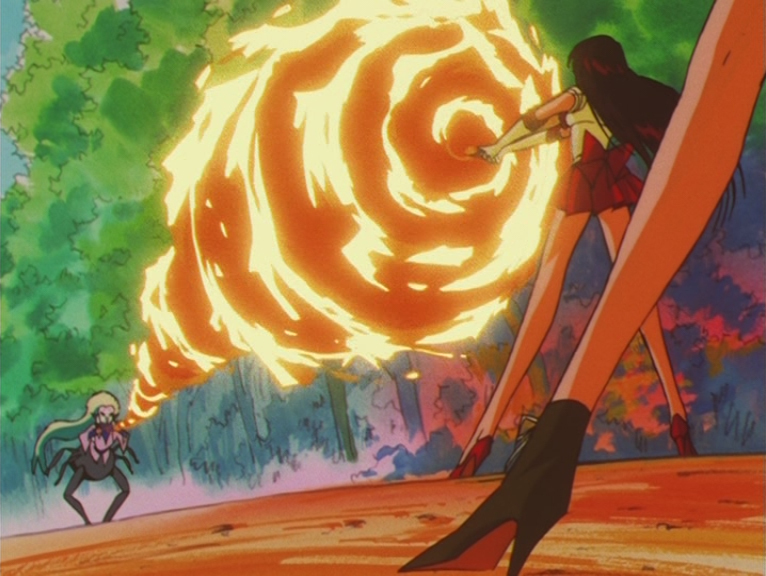 Sailor Moon SuperS: Mars Flame Sniper. Sailor Moon SuperS: Jupiter Oak Evolution. 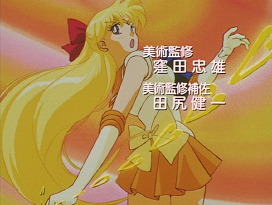 Sailor Moon SuperS: Venus Love and Beauty Shock.